If you have any comments or if you can improve this information, please feel free to email. 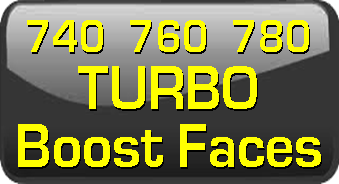 This page details work on my idle air control functions for my 242 Turbo. This car uses a programmable fuel injection system from SDS (Simple Digital Systems). I began using SDS almost 20 years ago. Megasquirt is a popular engine management these days, but it didn't exist when I started using SDS, so I have stayed with it. 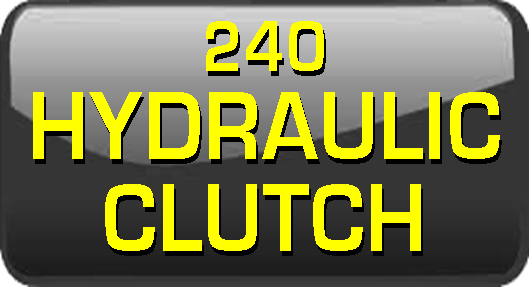 SDS was originally designed for racing and it does not have a modern computerized idle control function to control a precise stepper type idle valve, like Megssquirt or Microsquirt does. What SDS offers is the ability to trigger a simple electric air valve to enhance the idle for cold warm up or AC idle increase. A simple ON/OFF idle valve is crude and sometimes doesn't work as well as you like. So this is adding some refinement to my idle functions. A welcomed addition. For those of you using a GM stepper IAC (factory EMS, aftermarket EMS, Megasquirt, etc. ), this extra control may be a welcomed addition for you too. Watch Jon Lamb's video. The ability to switch between normal and custom idle settings from the dash sounds like a pretty cool thing to me. 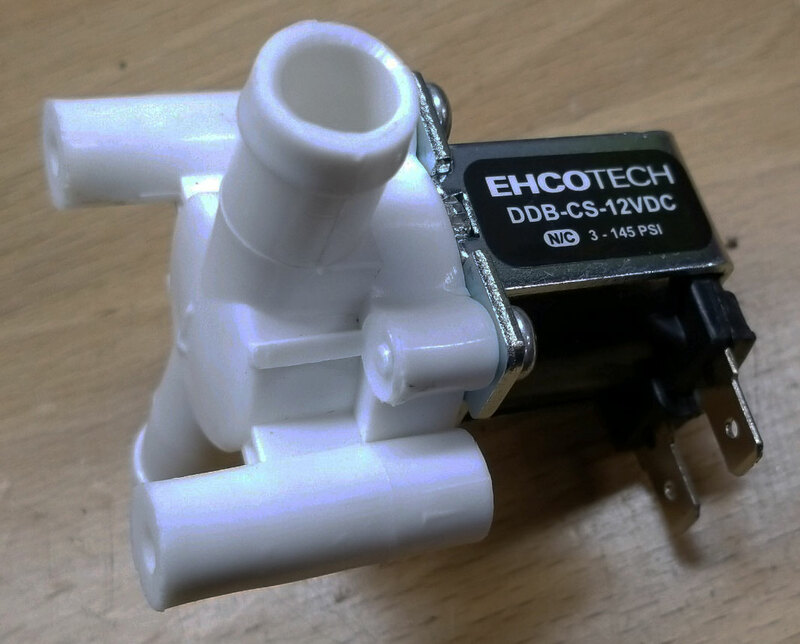 <<< This is an Ehcotech 12 volt electric valve. I have been using two of these for 10 years with great results. Both use manual fast idle switches on my dash for cold starts, etc. One is also controlled by the AC compressor 'ON' circuit for AC idle increase. Both are also controlled by microswitches on the throttle spool that override and shut the valves when throttle is increased above idle. So the way I have them set up, these valves are only active at idle. These valves are found on eBay for under $10 each. Normally closed. Applying power opens valve. 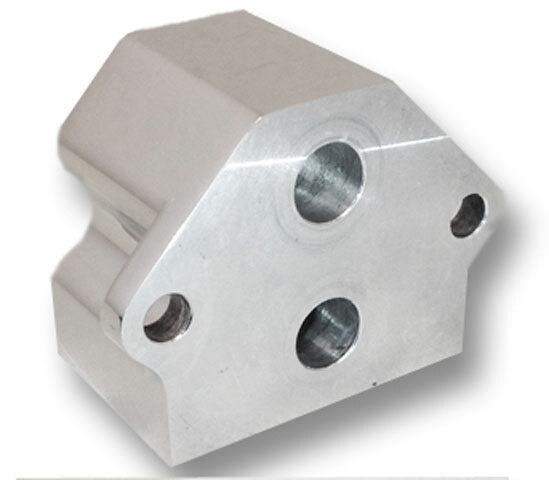 1/2 inch (0.500") hose barb inlet/outlet. 3/8 inch (0.375") inner orifice I.D. Maximum operating temperature 175 º F.
Made for pressurized water or air. I use 1/2 inch I.D. silicone hose for the air lines from the intake tube (pre-throttle body) to the above valve and then to the intake manifold. 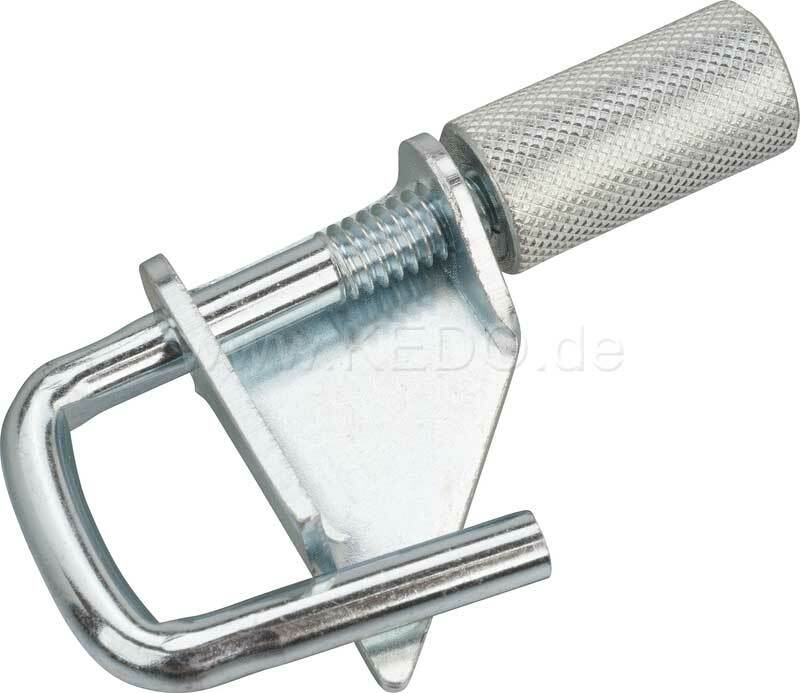 <<< Tuning the airflow in the hoses can be done simply with a hose line pinch clamp like this one pictured. 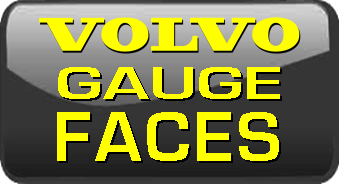 It squeezes the hose and small precise adjustments can be made if needed. In 2018 I discovered the below Youtube video made by Jon Lamb (comeinhandynow) in the U.K.. It details making your own stepper motor idle speed circuit that can be adjusted from the dash. 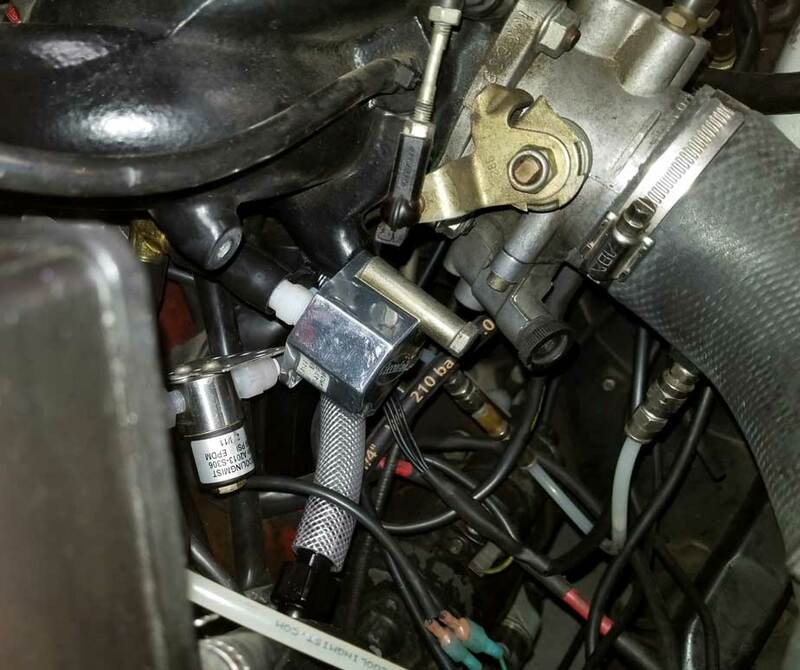 Jon outlines the manual adjustment method for a 4-wire idle air control valve, such as one found in a GM car like his. It sounded like a fun project. So the above setup allows a user to manually adjust the idle speed on the fly. This becomes useful if whatever system you're using isn't perfect in every regard. 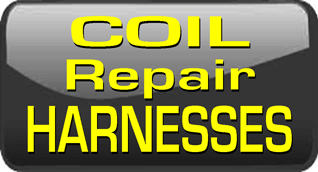 Maybe you want a higher idle during warm-ups or when the AC is on (combined with warm-ups). 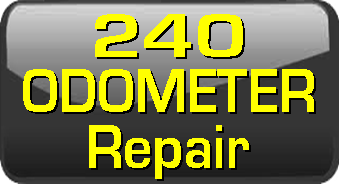 Being able to do an easy quick adjustment in my 242 Turbo would be a nice benefit. 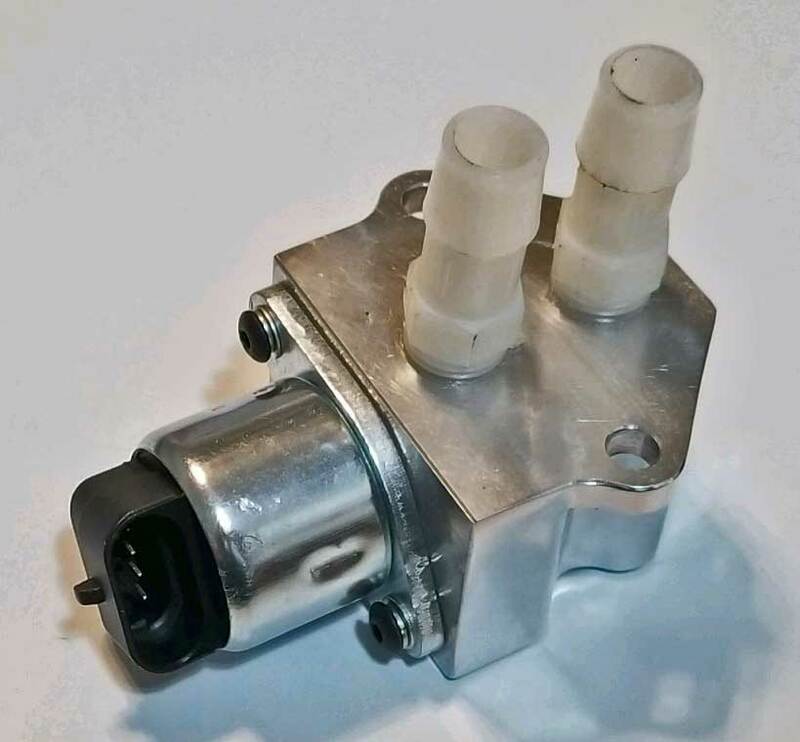 Volvos use a Bosch idle air valve that has either 2 or 3 wires. Bosch valves are PWM (pulse width modulation) controlled. A 4-wire GM stepper motor valve, such as that shown in this page, is different from a PWM valve. These stepper motors use two internal coils with two wires going to each coil to control the stepper motor movement. I don't know precisely how a PWM Bosch idle valve works or if a similar method could be used to adjust one of those. If you know, maybe you can enlighten me. using a GM type IAC valve in a similar fashion to what was done in the above video. (except my method is WITHOUT the toggle switch and relay shown in the video). <<< This is a GM stepper idle motor from approximately 2003 and later GM cars or trucks . There are a couple of different styles of idle motors out there. The one I picked uses the 4-wire connector plug shown here. 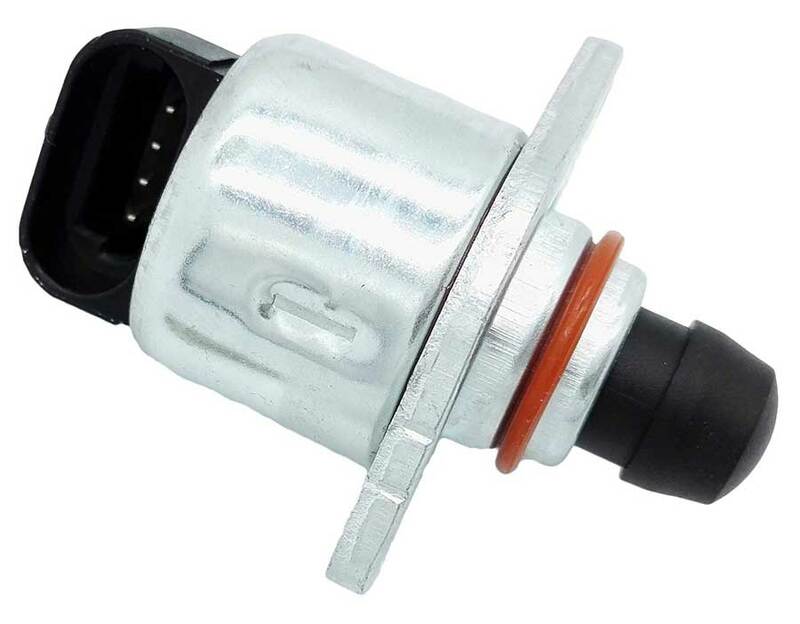 <<< This is an earlier style GM idle motor that came in cars up until approximately 2003. It would also work, but you would need to mount it differently since it's made with threads to screw into a manifold instead of the above motor, which simply bolts on. And this earlier type uses a different style 4-pole plug. 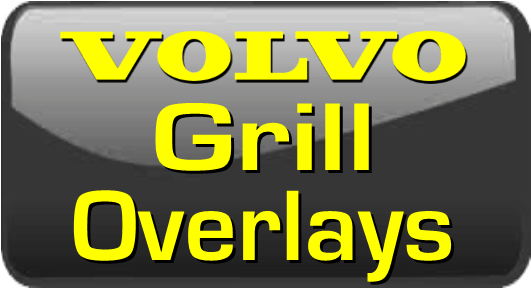 As you will see, I'm eliminating a few components from the design shown in Jon Lamb's video. My intent was to create a strictly stand-alone setup that could manually adjust the idle up or down from the dash. I'm not re-inventing anything. I'm just using and modifying the ideas offered by Jon Lamb in his video. Circuits like this are a fairly new thing for me. So please don't mistake me for some kind of electronics wizard. I'm not, but I'm learning. 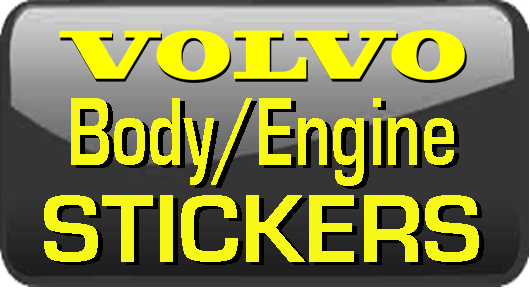 You may have noticed that the above GM idle motor is not really a complete valve. It's just a stepper motor with a plunger. 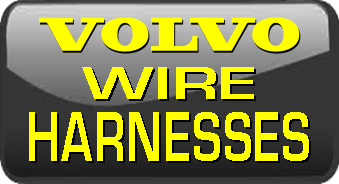 I could not find an all-in-one 4-wire idle valve with integrated IN and OUT hose barbs for air hoses. Maybe one exists out there, but I found nothing that I thought would work for me. So I started searching for an adapter housing that I could make, buy or modify to make that stepper motor into a full stand-alone idle air valve. <<< There are a few housings like this out there and most are very expensive. I chose this adapter from Accufab Racing. It was more money than I wanted to pay, but it works. 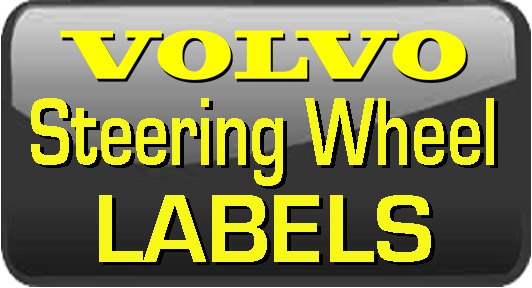 It's designed to allow the use of the same GM idle motor I chose. 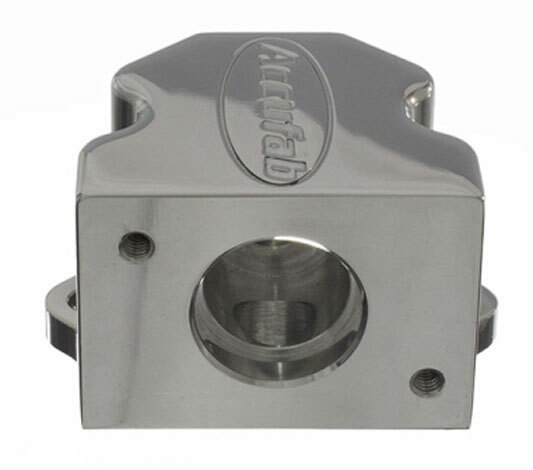 This adapter was originally designed for adapting a GM stepper idle motor for use on a Ford engine. <<< Here's a bottom view. <<< Here's a view inside. This hole starts at about .875 inch diameter. That first step is about .250 inch deep and it reduces to about .750 inch diameter. 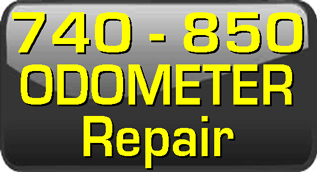 The .750 inch hole depth is about 1.1 inch and the final size beyond that is 7/16 inch (.4375 inch). If you're handy and have the machine tools or drills, making one of these would not be very difficult either out of aluminum or maybe even a sturdy plastic block. 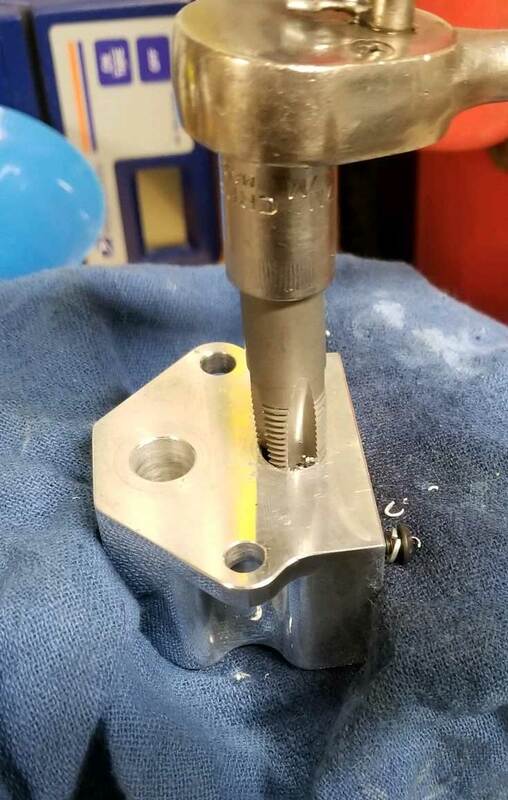 <<< Coincidentally, those IN and OUT holes on the bottom were 7/16 inch diameter, which is the correct size for a 1/4 inch NPT thread tap. <<< After taping the threads, I inserted 1/4 inch NPT nylon hose barbs (for 1/2 inch I.D. hose). Now I have a stand-alone idle valve. I guess I'm committed. Now it's time for the circuits. I was concerned that the .375 inch I.D. of those hose barbs might be too small for the airflow needed. If this became the case, then I could optionally drill the holes to 37/64 inch for 3/8 NPT thread. So far I have not made any changes. 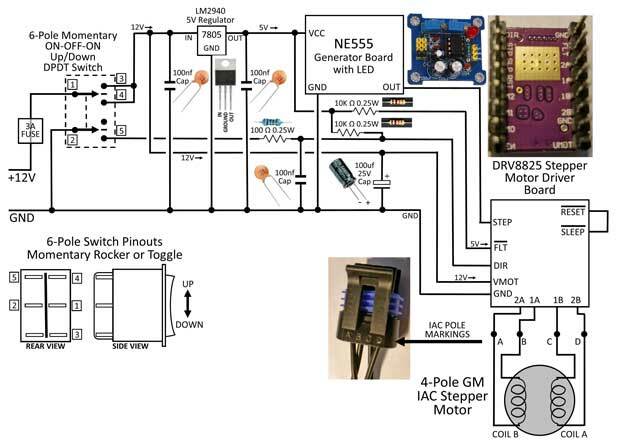 Jon Lamb's video has a diagram showing all of the components he used to complete his project. 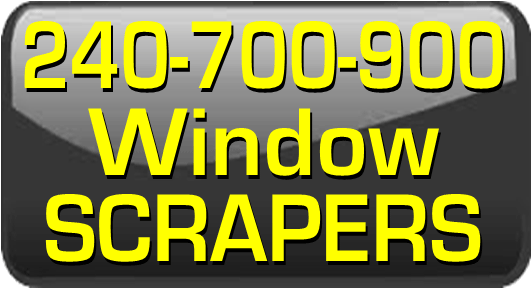 He will also email you a PDF document showing more detail if you like. Check his video description for that. 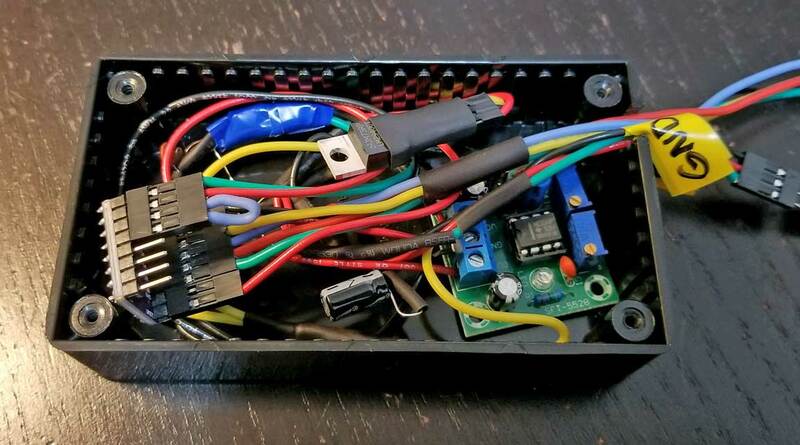 My version uses a few less parts, since I don't already have an existing GM ECU or an EMS that uses this type motor for primary idle control. So I don't need the relay or the toggle switch Jon used to switch from Auto to Manual. I had a little trouble interpreting and following Jon's hand-drawn diagram, so as I worked out how these all these components went together, I decided to create a new, cleaner diagram below showing each component that went into my project. This diagram below is a little different from Jon's diagram. 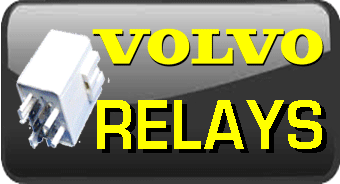 It doesn't include the relay Jon used to switch between his factory EMS and manual idle control, since I'm not using that relay. This helped me to better visualize the task, since so many of these components were new to me. It should help you understand it better too. If you need any help with this diagram or with the one in Jon's video using the relay, contact me. <<< Before actually building this thing, I hooked up the raw circuits on a solderless breadboard to make sure I had it right. It worked as promised. If you check out the below video, you'll get to see my test in action. 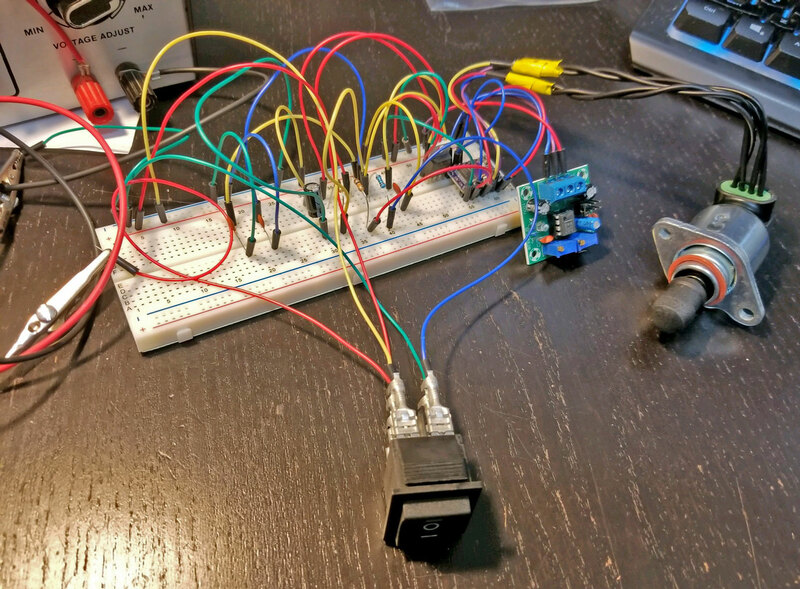 Here's a short video demonstration of the Idle Speed Control Circuit. <<< Here's the mini rocker switch I used for the idle increase/decrease adjustment. It's mounted in a dash switch blank panel for my 240. <<< The mini rocker switch has .187 inch tabs on the back. I had some uninsulated female .187 inch terminals, so I covered them with heat shrink tubing. Here's a view from the left side. Pinouts on this side from top to bottom are: 12V OUTPUT (top), 12V INPUT (middle), and 12V OUTPUT (bottom). <<< Right side view. 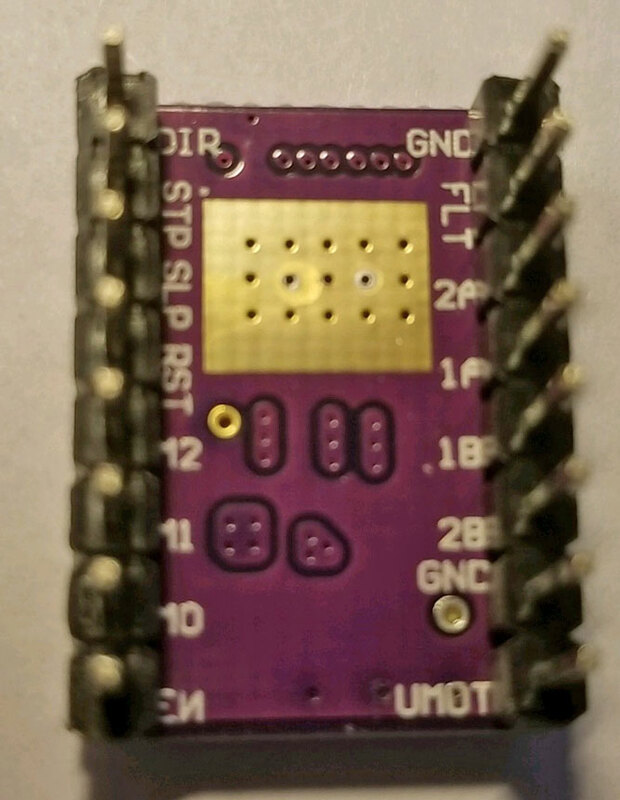 Pinouts from top to bottom are: Output to DIR (Direction) on DRV8825 Driver Board (top). GROUND (middle). Bottom tab is unused. <<< I decided not to solder everything together like Jon did in his video. This is a personal preference thing. You might like soldering stuff. I don't particularly care for it. Solder joints are prone to cracking when used in a vibration environment, like a car. When that happens, you'll have a hard time finding the problem. 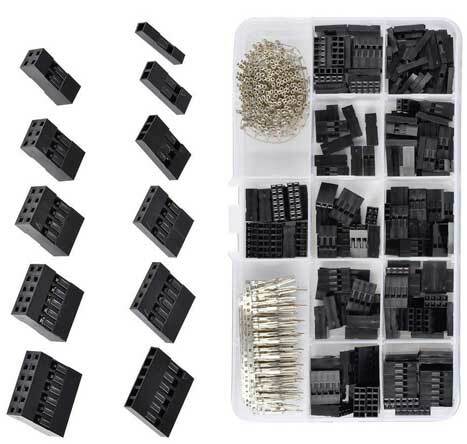 I bought a JST mini pin connector kit (see parts list below). It worked out nicely. This connector will connect the project box (which I put in the dash) with four wires going through the firewall to the engine bay for the idle valve. <<< Here's the project box I stuffed everything into. When testing again at a final stage, things suddenly didn't work. I discovered that the 5V regulator was no longer working. Maybe I shorted it when moving stuff around. I replaced the regulator and it all worked perfectly again. Good thing I bought two of them. Next step was installing all this in the car. 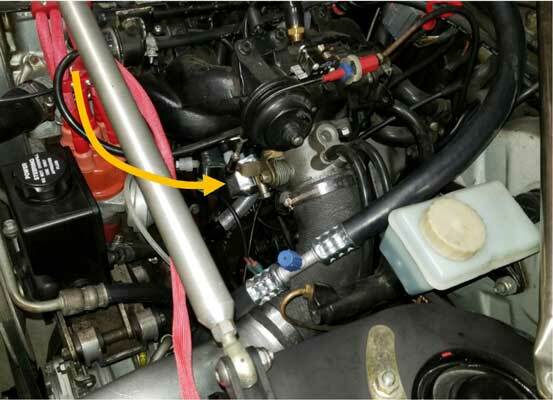 <<< I mounted the new idle valve under the intake manifold here. <<< More close up view. 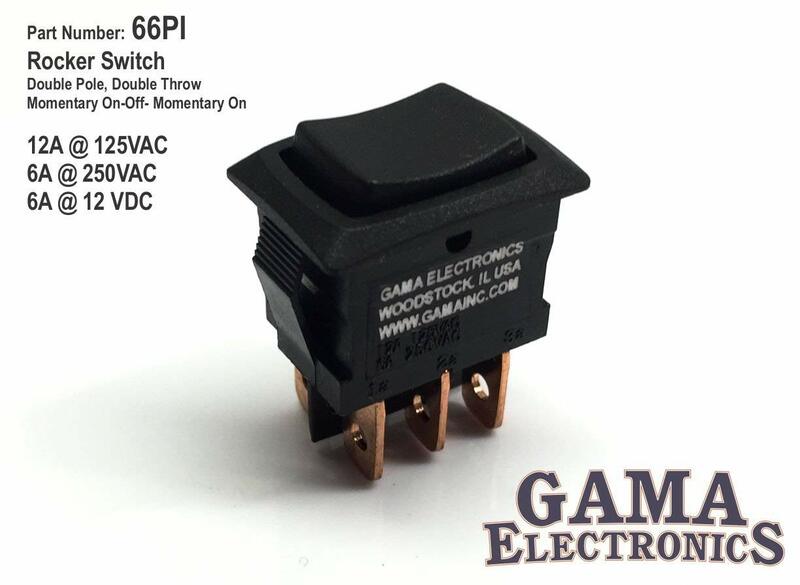 <<< Here's the adjustment rocker switch. It's set up to adjust the fast idle #1 circuit. 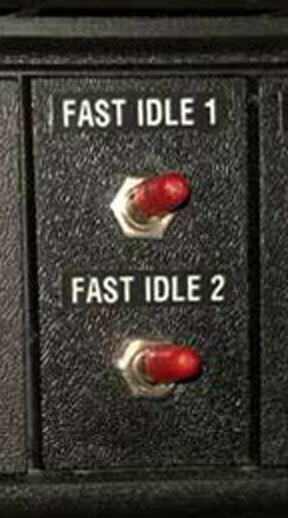 Idle #2 is an extra circuit that can be used during warm-ups. After trying the new idle setup using the two small Ehcotech valves shown at the top of this page, I found the valve that was connected to this new idle circuit was not allowing quite enough airflow during high airflow demand (cold idle with the AC on). I decided that the 3/8 inch inner diameter of that small valve was probably not big enough. So I bought this valve pictured. It's a larger valve, also with a plastic body, with an inner diameter of 3/4 inch. 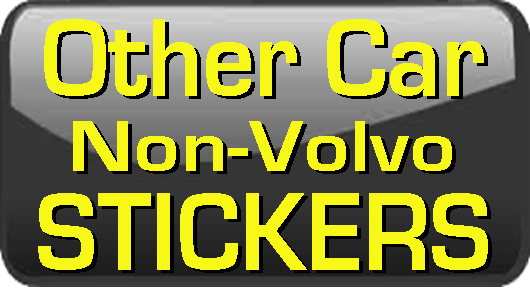 It solved the problem and now the engine gets plenty of airflow in any cold idle condition. I found this valve on eBay for about $25. 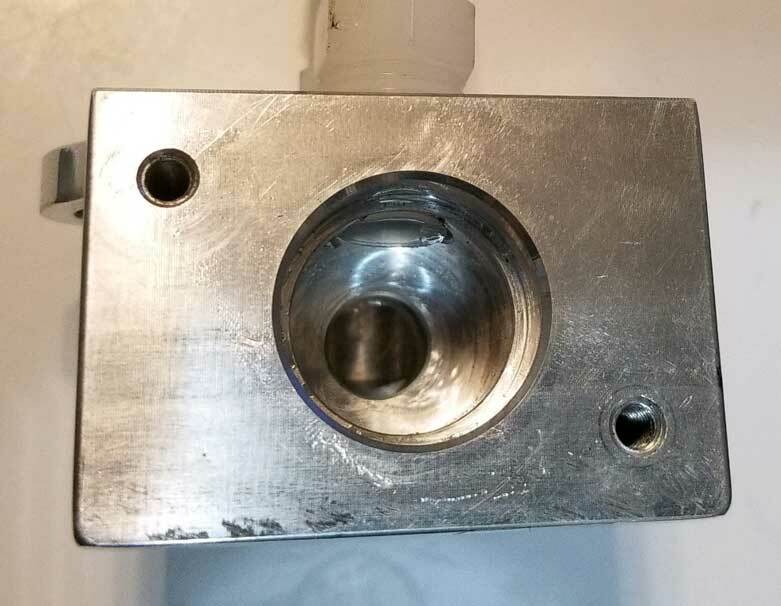 3/4 NPT female thread inlet/outlet. 3/4 inch (0.750") inner orifice I.D. If you have any comments or questions, please feel free to email. IAC motor for GM (2007 Chevy Silverado and many others). 4-pole connection. Cost will be $10 to $90, so shop around. 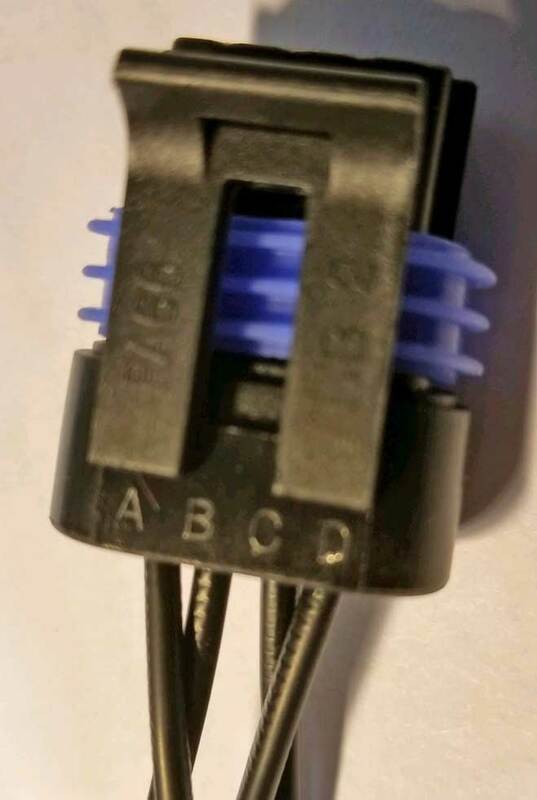 Connector plug with pigtail for above. Cost is about $10.00. 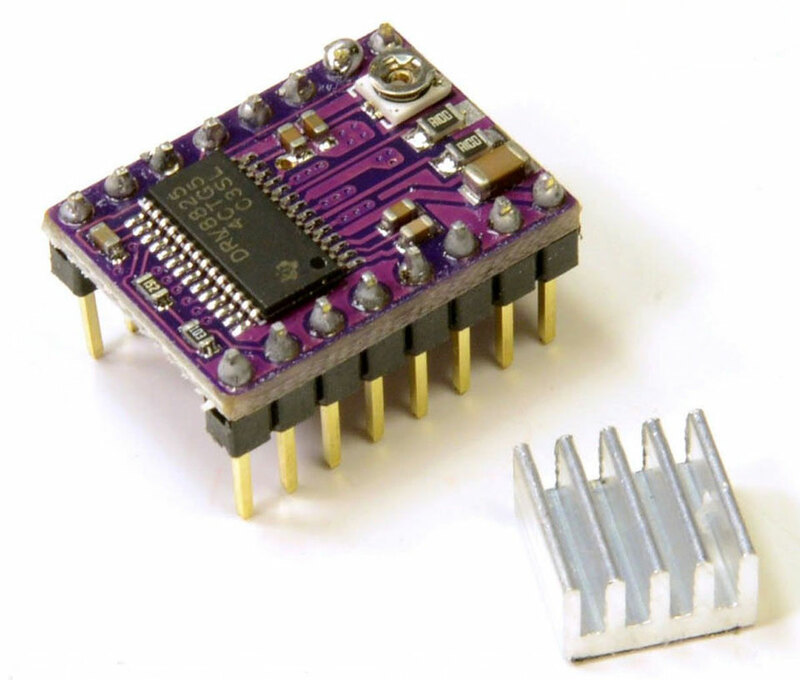 DRV8825 Stepper Motor Driver Board or Module. Size is typically less than an inch long. Typical input may be 5-45 volts. Cost is about $2.00 to $4.00. NE555 Pulse Module Square Wave Signal Generator Board with LED Indicator. The LED is needed for this project. There are a lot of these boards without an LED. Get one with it. Size is typically about an inch or so wide. 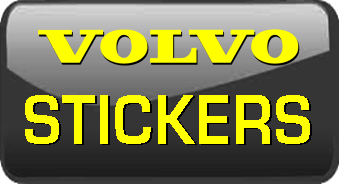 Typical input will be 5-15 volts. There are three required connections: VCC, GROUND and OUT. Cost is around $5.00 to $15.00. 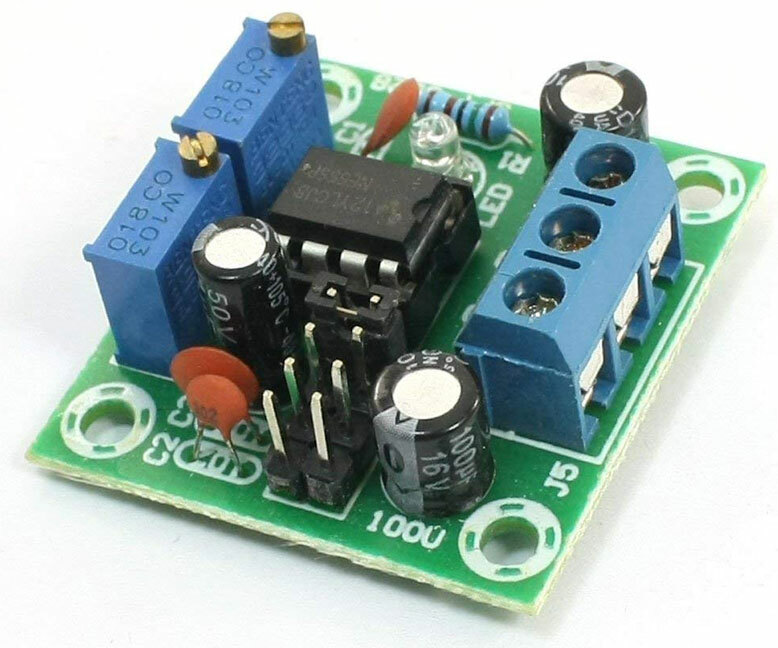 LM2940 5.0 volt regulator to reduce voltage to the Generator Board. Cost is around $2.00. DPDT (Double Pole, Double Throw) mini rocker switch, 6-poles on the back. Momentary (ON), OFF, (ON) function. Front size is about 1/2 x 1 inch. Cost is about $5.00. 10k Ohm Carbon Film Resistor. 0.25 Watt. TWO NEEDED. Cost is small. 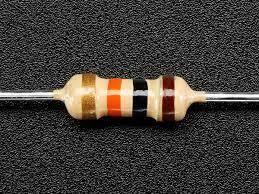 100 Ohm Carbon Film Resistor. 0.25 Watt. Cost is small. 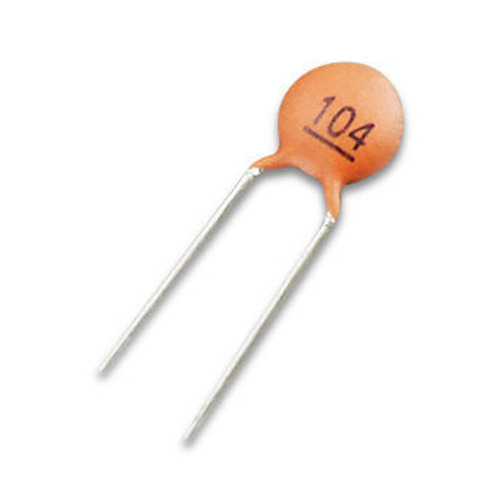 100nf (0.1uf) Ceramic Disc Capacitor. THREE NEEDED. Cost is small. 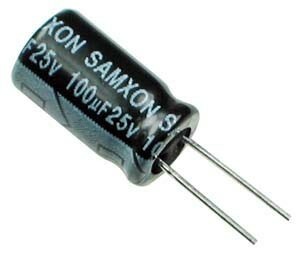 100uf 25 Volt Radial Electrolytic Capacitor. Cost is small. 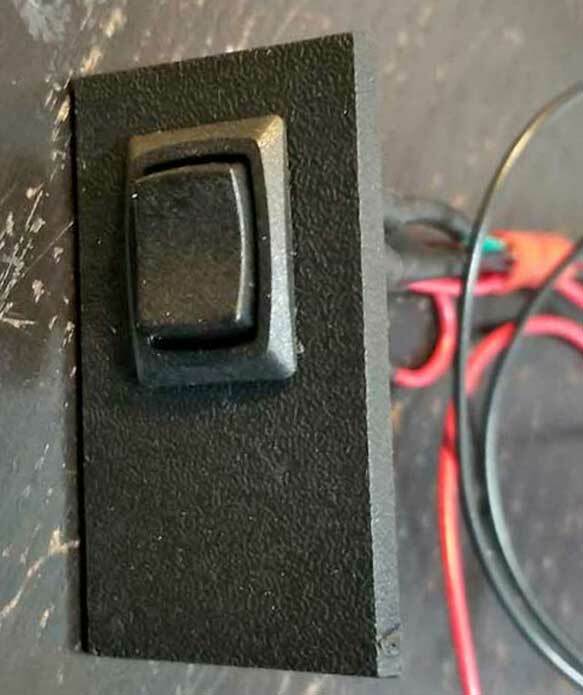 3 amp fuse and fuse holder for 12V input to the rocker switch. 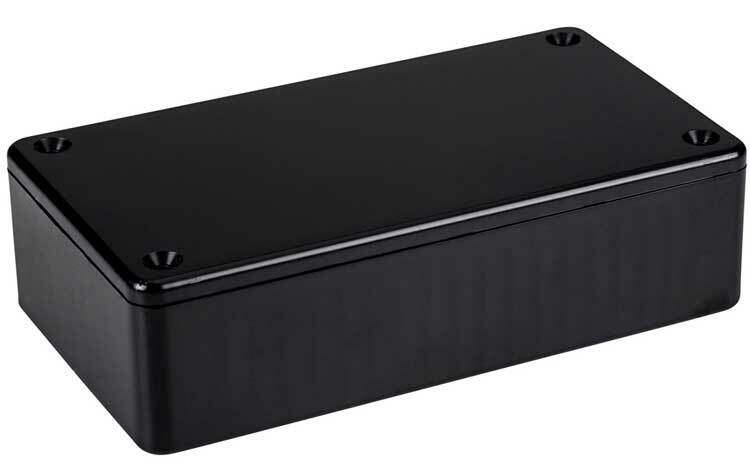 Hammond 1591BSBK ABS Project Box Black. 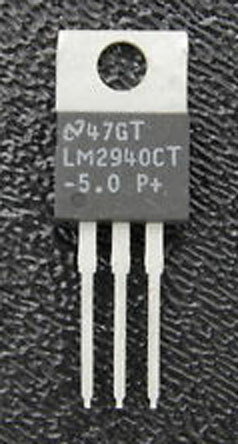 4.4 x 2.4 x 1.1 inches (112mm x 62mm x 27mm). $5.00. 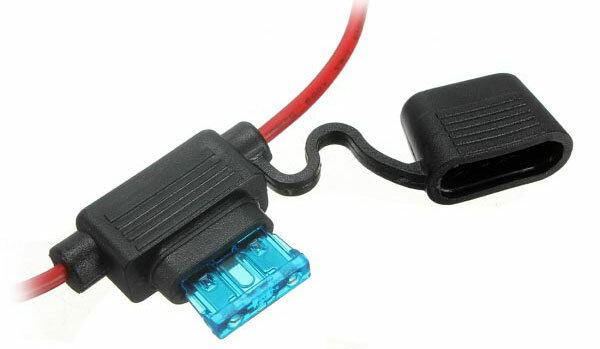 QLOUNI 2.54mm Pitch JST Pin Housing Connector Kit. About $9.00. Not required. You can solder things also. 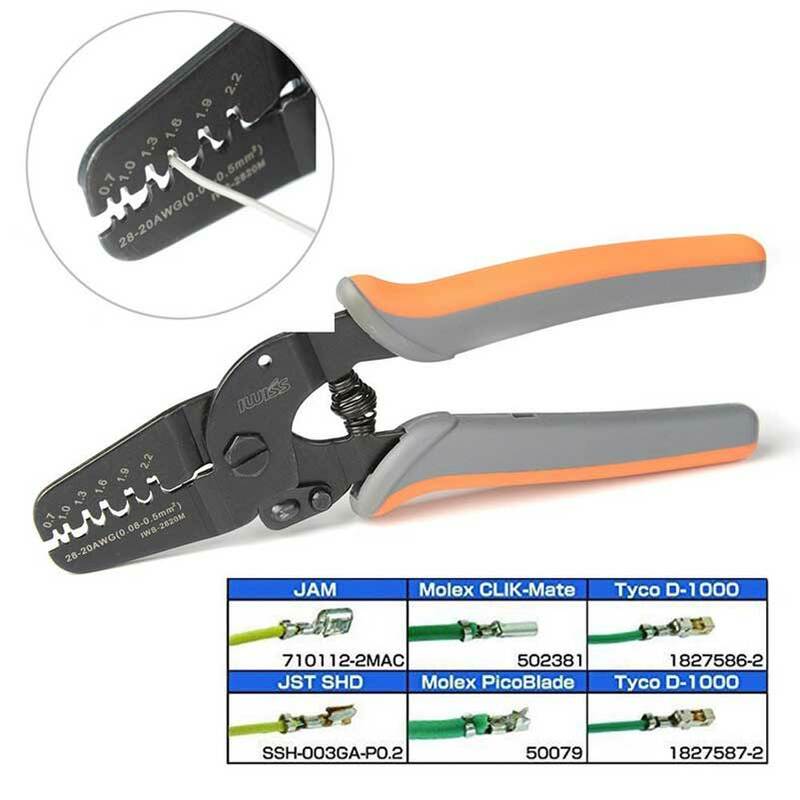 IWISS Micro Open Barrel Crimping Tool for JST Terminals. $17.00. 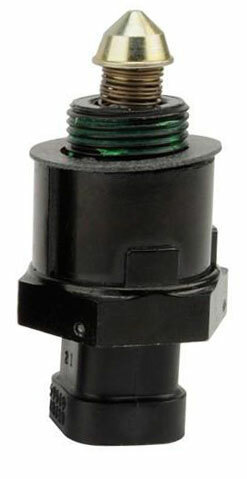 Ehcotech 12 volt electric valve, normally closed, 1/2 inch hose barbs, 3/8 inch inner diameter. Under $10.00. 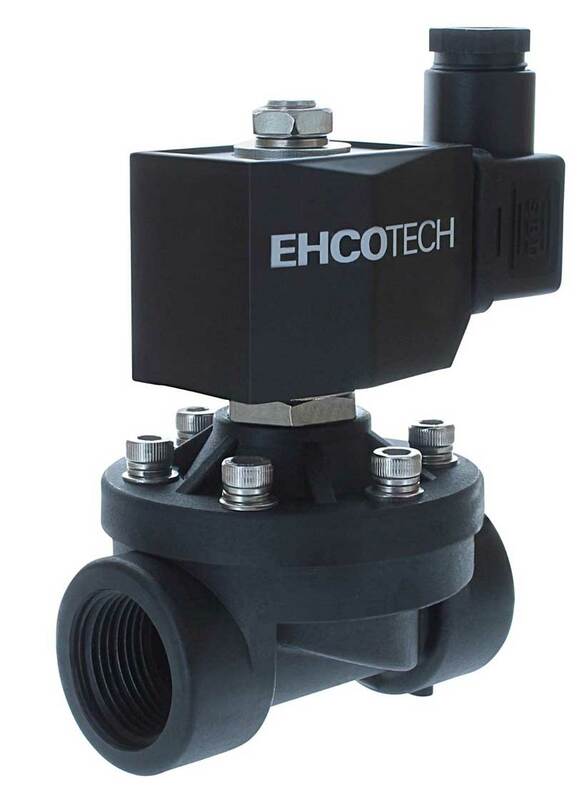 Ehcotech 12 volt electric valve, normally closed, 3/4 inch NPT female, 3/4 inch inner diameter. 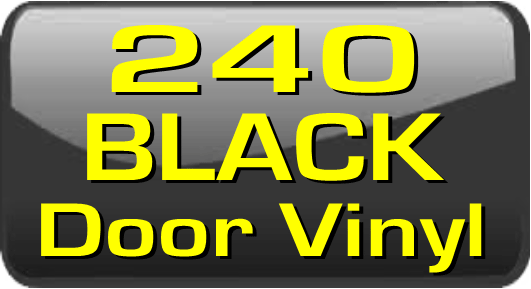 About $25.00.